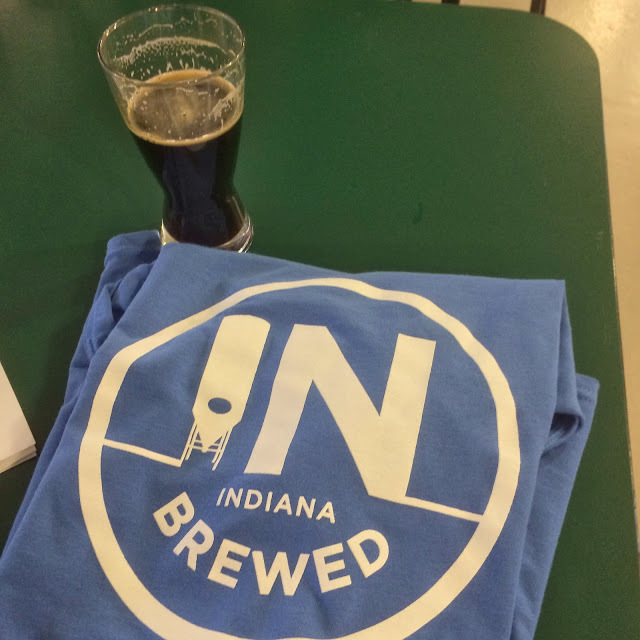 I've figured out that one of the best ways to get involved in the Indy craft beer scene is to volunteer at events. 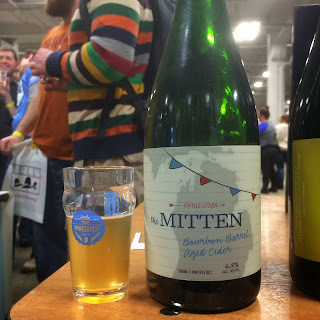 I volunteered for DigIN last summer and had a great time so I figured I would do a more beer focused event with Winterfest this year. I worked the gates, which largely consisted of letting people into the event and making sure people left (without beer), so this means I got to interact with a lot of people that day... these are their stories (and mine). 11am- I arrive. I ask parking people where I should park- "eh over there". Over there ends up being a 10 minute walk to the Winterfest location. 11:10am- 12:45pm- Various duties including putting out ice for the brewers, tracking down ReplicAle kegs for the ReplicAle trailer, repairing a flat cart that had lost it's wheel, wandering aimlessly, and trying not to get run over by a golf cart driven by Nick of Scarlet Lane Brewing. ~12:45pm- People are starting to line up?? 12:45- 1:45pm- Making sure random people don't try and get in, guarding the tasting plastics, and getting trained on the scanning system. 1:45- 2:30pm-ish- Get early entry people in the door, out of the rain, and drinking beer. People do realize they need to have an ID to get into an event that involves alcohol right? 2:30-ish- 3:30pm-ish- Get general admission people in the door, out of the rain, and drinking beer. Did have one older gentlemen come to the gate with cash in hand to buy a ticket. Apparently he didn't know it was sold out and there weren't ticket sales at the door. Sorry man. 3:30-ish- 5:00pm-ish- During this time I was able to get away from the gate occasionally and try some beers, including Three Floyd's War Mullet, Iechyd Da Cookie Milk Stout, Black Acre Coffee Phantom Cat, (all favorites) and a bunch others. Had a guy and girl come to the gate brandishing tickets... tickets to the home show in a different part of the fairgrounds. "Sorry sir you can't come in"; "why not? "; "those are tickets to the home show"; "so? 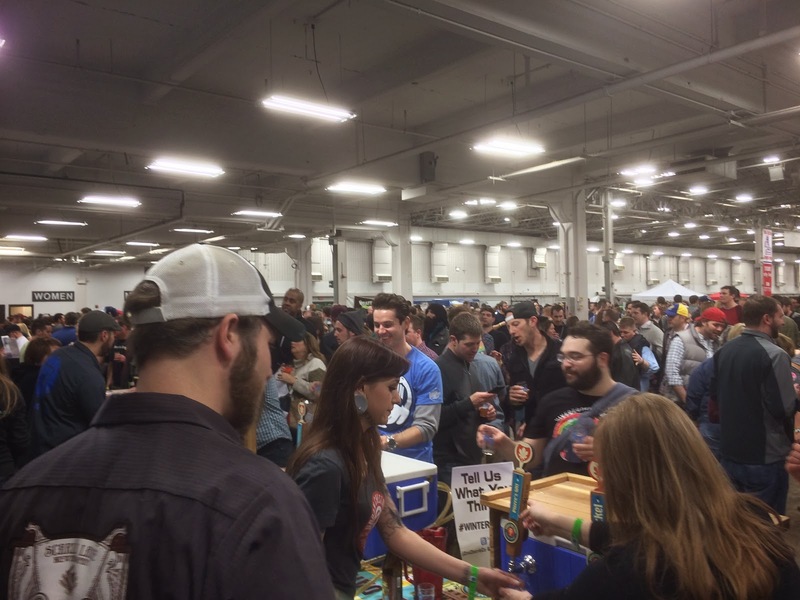 ""this is a beer festival";"I bought tickets to the wrong event I guess!" A local company was using generic growlers with their name on it as prizes and many fest goers were enamored with the $4 pieces of glass. My favorite was the guy who wanted to steal one and ask one of the breweries to fill it. Had to crush his dreams and inform him that wasn't going to happen. Apparently some fest-goers don't think is fair, especially the Sun King Fanboys. Went to the head of the line to get some Pink Taco and heard several people cussing and freaking out. Some volunteers take full advantage. Dealt with a few drunk volunteers (more on that later). Brewery pourer showed up with a ticket, so I gave him a general admission wrist band: "what does this get me? "; "What do you mean? It gets you beer... what do you want? "; blank stare "I thought I get special privileges"; "You need to work that out with your brewery or go to the check-in office"; "where's that? "; "right there past the booth"; I watched him go near the door, stand there for 5 minutes, and then wander off. 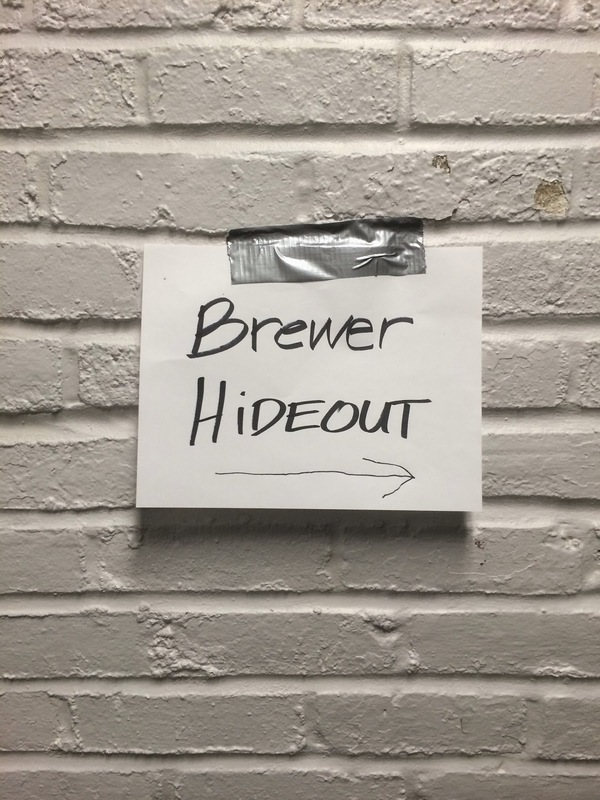 After seeing the brewery he worked for I realized that he was probably on something. 5-6pm- Back on official gate duty. Now mostly watching the drunk masses filter out; it's kind of like watching zombie hoards in "The Walking Dead", but some are less coordinated and meaner. Most were great though. Random roars go through the crowd- the zombies must be feeding. 1+ hour left- a girl asks if her friends can get in for free since not much time is left: "No, the event is sold out"; discounted tickets? : "No, the event is sold out": full price ticket? "No, the event is sold out"
6- 6:45pm- Freedom! This was my designated time to enjoy the festival. I drank some beers, talked to friends and brewers, etc. I could tell by this time that some breweries were a bit worn out. I was told by a pourer that I couldn't have the beer I wanted unless I drank the one he wanted me to first, because he was in control and didn't care he was being a douche (his words). 6:45- 7:15pm- Time to get people out. Lots of high fives, handshakes, slurring, and germs. 7:15pm- Asked to direct brewery vehicle traffic in the pavilion so they could pack up and get the hell out of dodge. Lucky me! Doing this with a couple drunk volunteers who were toting some cans of beer around: "Want some beer? "; "No thanks, let's get these cars directed"; "can't you do this alone? We want to go. "; truck whizzes by going the wrong way. "Sure, but we can't let cars do that"; at that point Mr. Drunk yells I don't know what I'm doing and that nobody will listen to me. I walk away and soon after they join the paying patrons out the door. 7:45pm or so- I go home exhausted. I got the sense that I took volunteering more seriously than some, but I had a great time, met some great people, and feel like I helped the Indy beer community pull off a great event. I recommend that everyone go volunteer at least once, but if you do, please try to take it seriously and don't treat it as a free ticket to get drunk.